GENERATIONS from EXILE TRIBE / NEW ALBUM「SPEEDSTER」 Solo Performance 佐野玲於ver. GENERATIONS from EXILE TRIBE / NEW ALBUM「SPEEDSTER」 Solo Performance 白濱亜嵐ver. 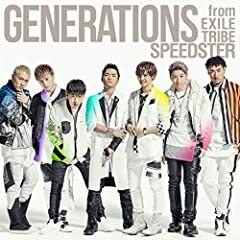 GENERATIONS from EXILE TRIBE / NEW ALBUM「SPEEDSTER」 Solo Performance 中務裕太ver. GENERATIONS from EXILE TRIBE / 「Sing it Loud」 佐野玲於solo dance ver.